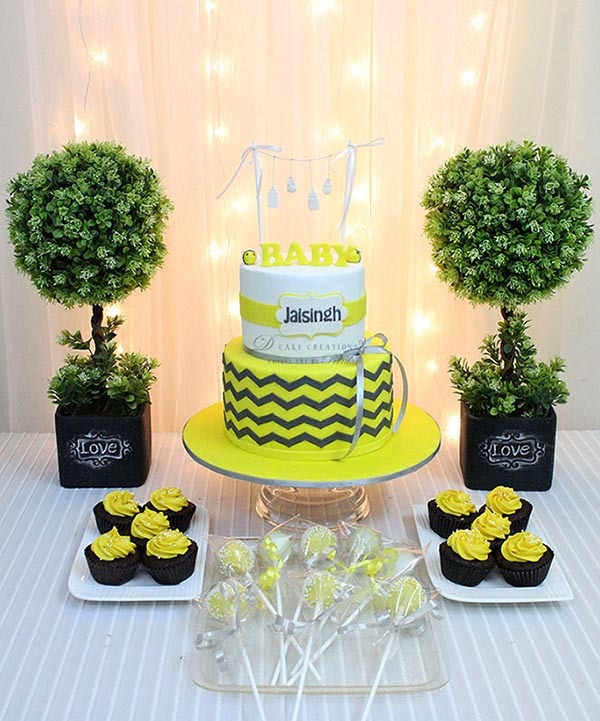 We designed this Two Tier White & Yellow Cake with Cupcakes and Cake Pops for a ‎Baby Shower. The White and Yellow theme with the Chevron print on the bottom tier and the hanging baby essentials on top of the ‪Cake were all inspired from the creative invitation card that was shared with us by the client. The cake was accompanied with Cupcakes and Cake Pops both designed with the White & Yellow colour theme.